Say what you want about 2016 from an investing standpoint, but there’s no denying this has been a terrible year in terms of new IPOs hitting the market. So far this year, there have been a paltry 94 IPOs filed. The last time the number of new IPOs were so low was back in 2008, when the financial crisis caused companies to hold off on their plans. For comparison’s sake, there were 363 IPO filings in 2014 and 234 in 2015. As slow as 2016 has been, there are some signs of life. An impressive nine companies went public for the week ending on September 23. As a whole, September has been the busiest month of 2016 for new IPOs. It’s not enough to undo the slowness from the first three quarters, yet it does show companies aren’t spooked about going public. Valvoline, the oil change chain, raised $645 million. It’s one of the biggest IPOs of the year. The Trade Desk, an ad tech company, raised $84 million. CapStar Financial Holding, a Tennessee-based bank, raised $40 million. Still, a busy September isn’t enough to undo a completely down year. Companies are willing to stay private for longer periods, and some high-profile poor performers have perhaps made companies skittish about going public. While companies seem less likely to go public than in the past, that’s not necessarily terrible news for investors. IPOs, for all their hype, rarely live up to their enormous promise. A company going public is like the start of the football season — there’s an infinite amount of promise because a game hasn’t been played yet. Some teams will undoubtedly end up terrible, but for that moment before the action starts, there’s no proof that things will go poorly. IPOs behave in a similar away, as the excitement often gets the better of investors. After all, who doesn’t wish they could have invested in a company like Microsoft (MSFT) back when it first went public? Those initial investors would have had a 57,000 percent return. Dreams like that often push IPOs up quickly as soon as they debut. The underwriters overseeing the IPO tend to underprice the initial prices, so shares skyrocket in the first moments the company is publicly traded. After that, it’s typically downhill. Most IPOs, the research finds, underperform the market for nearly three years after going public. Locking in those glorious first-day gains are almost impossible for the average investors, as those shares can’t even be bought because the bigger players in finance have already snatched them up. That leaves us from the outside looking in. However, considering the long-term gains, that might not be a bad thing. So the IPOs typically underperform for around three years, but that’s not too long in terms of long-term investing. How do they perform beyond that fairly limited time frame? The most thorough IPO study looked at 9,000 IPOs dating back from 1968 and tracked them until 2003. Eighty percent of those IPOs underperformed a “boring” index fund of small caps. Among those underperformers, half of them lagged behind the market by more than 10 percent. As the numbers show, investing in an IPO is like playing the lottery. Sure, you can hit the jackpot. However, there’s a better chance you’ll be throwing your money away when you’d be better off investing in index funds. 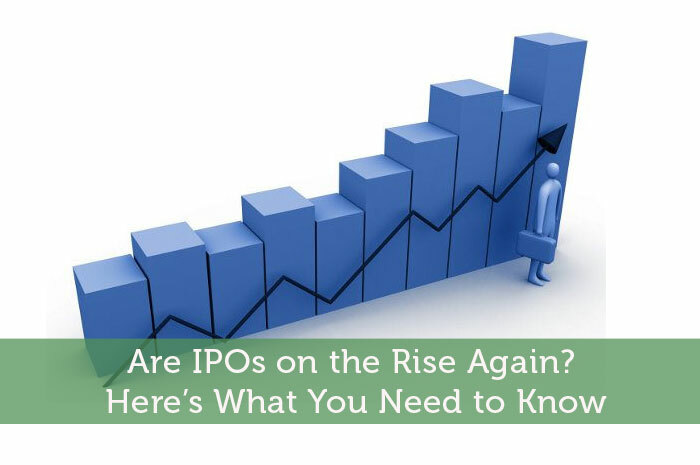 While IPOs are undoubtedly exciting, it’s usually the safer bet to stay away. The low number of IPOs for the year doesn’t sound too bad now, considering what the historical returns are.